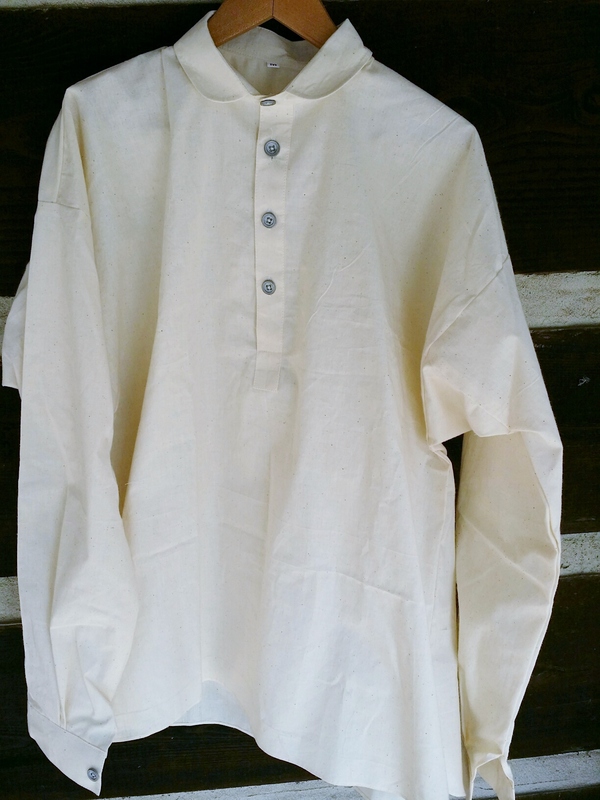 Natural color, medium weight, 100% cotton. 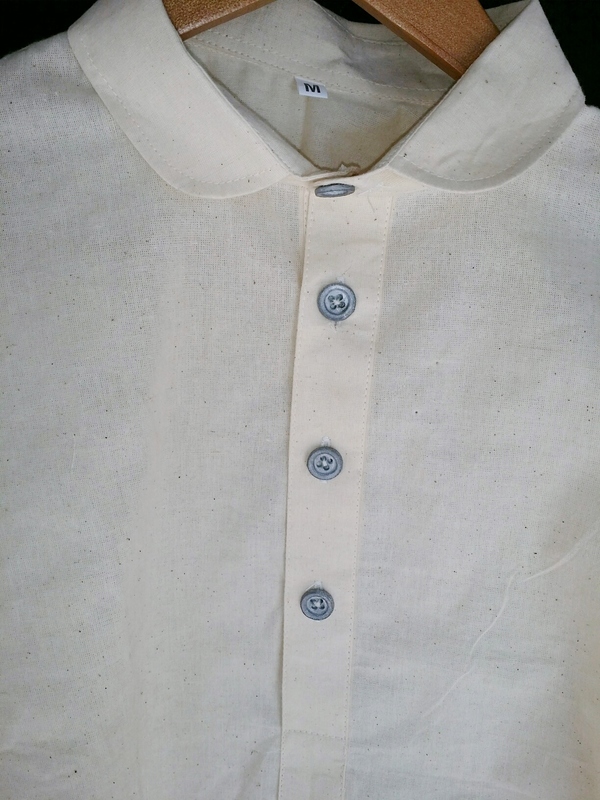 4-button placket front. Civil War, Cowboy, Wild West period correct.